Best Fishing Decals 2019 + Decals for Boats Trucks and Coolers! 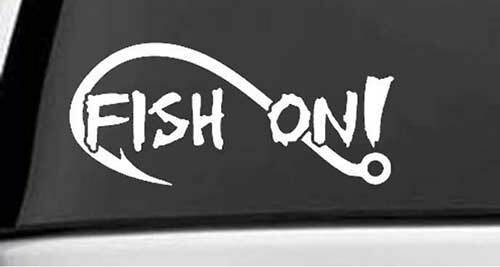 Fishing decal stickers are a great way to decorate a car, truck, boat, cooler and vehicle bumpers. The decals can be for fashion or for humor. It is a great way to show others that you love the ocean and fishing. Vinyl hull wraps are another great way to decorate a boat but that is typically done at a custom boat fabrication shop. Below is a list of decals based on typical usage areas. The smaller stickers can also be placed on computers, kayaks, tackle-boxes, lockers and doors. Cut out decals are typically used for the rear window of a truck. Solid background decals are typically used for bumper stickers. Fish outlines can be used on the hull of a boat or in the inside panels. These fishing decals make a great gift for avid fisherman! Patagonia fishing decal stickers including red oval 3 x 1.5 inches, Patagonia Ultimate 3 x 1.5 inches, fly fish text (3×1 inches), the mountains are calling 2.5 x 2.5 inches, Patagonia Fish 3 x 1.5 inches, Monte Fitz 2.5×2.5 inches, bear walking 3×2.5 inches and Patagonia Ventura CA sign logo. Jesus fish sticker decal, 3.5 x 1 inches. 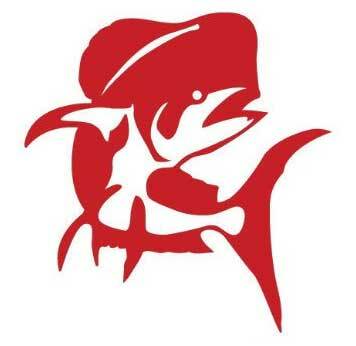 BASS Anglers Sportsman Society organization sticker decal, 4 x 5 inches. 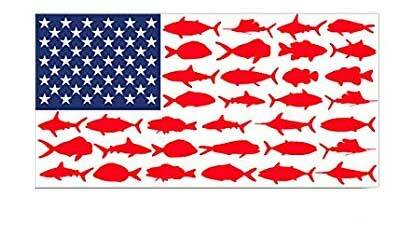 USA American Flag fishing decal sticker, 2.5 x 5 inches. Looks like a flag and has fish as the stripes. Costa Del Mar schooling fish decal. Costa is a very popular manufacturer of polarized sunglasses based in Daytona Beach Florida. Costa is known for helping organizations such as OneCoast, OCEARCH, and Untangled Collection. Rear window fishing graphic for a truck window. 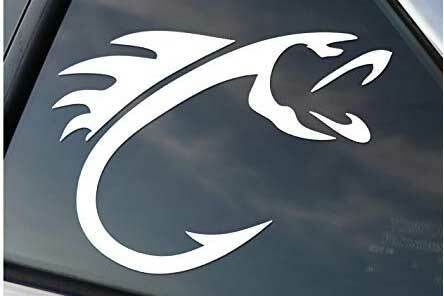 This are large full window decals up to 65 inches wide. Colors include fish camo, cool coral, fishing school, dolphin, freshwater comrades and great white sharks. Fish bones no fear sticker decal. The sticker is 6 inches long and is UV and water resistant. 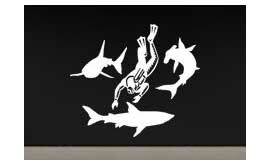 Scuba diver diving with sharks for car or truck window decal, 8, 14 and 20-inch sizes. Colors include black, orange, silver, blue, yellow, red, white, pink, gold and green. 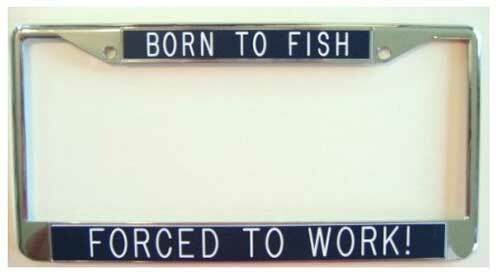 Born to Fish Forced to Work, die cut sticker decal, 8 x 2 1/2 inches, color is white. 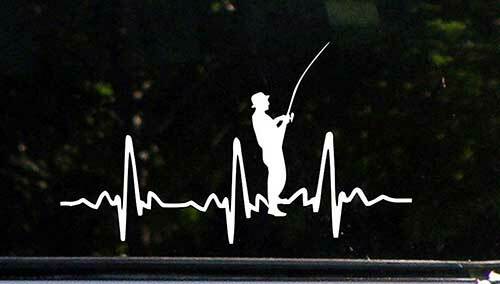 Sweat tea heartbeat fishing decal with the outline of a fisherman, 6 1/2 x 3 3/4 inches, color is white. Got fish? white fishing decal sticker, 8 inches. 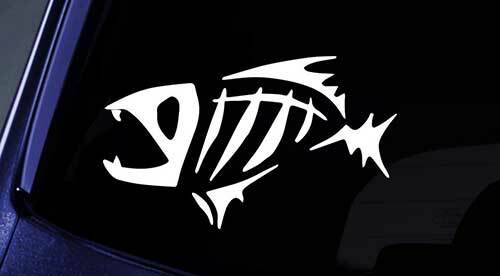 Fish on bass fishing decal, 6 x 2.75 inches. Colors include white, silver, orange, pink and red. Stays in place for up to 5 years, weatherproof and UV resistant. Minimal fading even in strong sunlight. Fish hook decal with a fish shape, white, 4 3/4 inches tall. 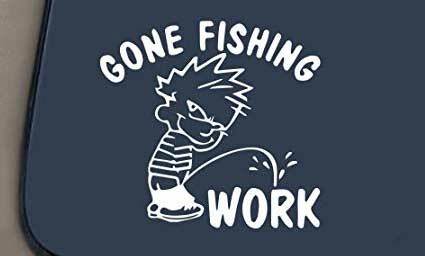 Gone fishing pee on work funny car or truck decal sticker, 7 inches, white in color. 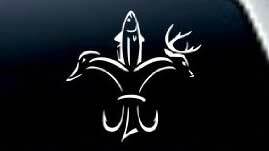 Fish duck buck deer decal for a rear truck window, white in color, 5-inch length. eat sleep FISH decal sticker, 5.5 x 3 inches, white in color. Computer cut vinyl decal from Creative Concept Ideas. Yamaha racing decal stickers, two stickers both 8 x 1.75 inches. Yamaha is a popular outboard motor company for the boating industry. 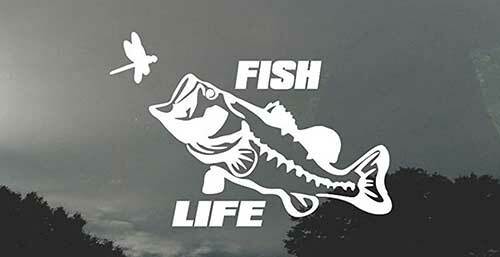 Fish life bass fishing decal, bass eating a dragonfly, 5.5 x 8 inches, white in color. Gamakatsu blue fishing decal, 5 inches. Gamakatsu is a company that manufactures fishing hooks. Skeleton fish boat decals, two stickers are included that are 23 x 10 inches. Color options include, black, white, matte black, yellow, orange and matte white. These are made from Oracle professional auto vinyl. 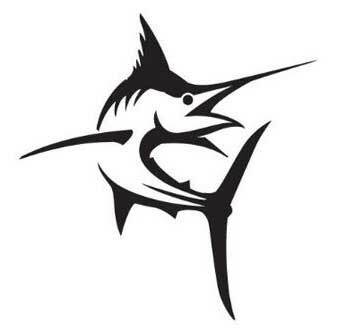 Marlin fishing decal, available in 6 or 10-inch sizes. Color options include black, blue, orange, pink, red, silver, white, yellow, lime green, light blue and navy blue. Tarpon fishing sticker for boats, 8 x 10 inch and 23 x 26-inch sizes. Color options include, black, blue, chrome, gold, gold chrome, green, light blue, lime green, navy blue, orange, pink, red, silver, white and yellow. Dolphin or Mahi Mahi fishing decal sticker for boats. Sizes are 4, 6, 10 or 23 inches. Color options include black, white, orange, gold, red, yellow, lime green, light blue and navy blue. 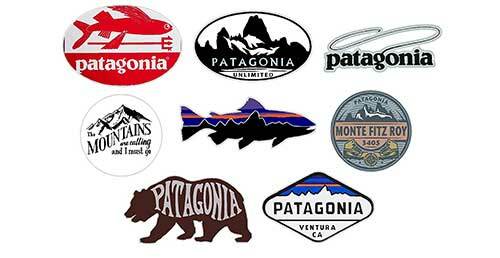 Original Patagonia Monte Fits logo sticker, 7 x 2 inches or 4 x 1 inches. Made from high-quality ORACAL vinyl for outdoor use. 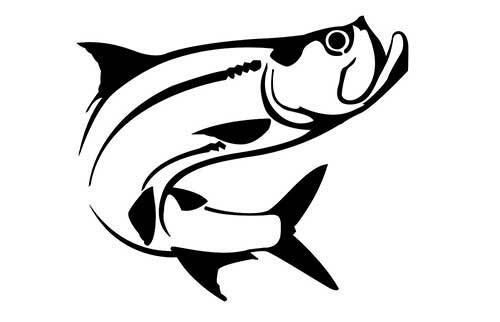 Patagonia Trout window decal sticker, 8 x 3 inches, white in color. Made on high-quality ORACAL vinyl for outdoor use. American flag tuna decal, 6 x 2.6 inches, red white and blue colors. American flag bass fishing decal, 5 x 2.3 inches. Made with weather resistant quality 3M vinyl for outdoor use. Tuna fish decal, white in color, 7 x 3.4 inches tall. 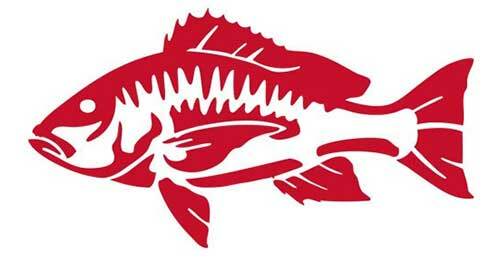 Red Snapper fishing decal sticker, sizes include 6 x 3 inches, 9 x 5 inches, 14 x 7 inches and 43 x 23 inches. Colors include blue, gold, green, light blue, lime green, navy blue, orange, pink, red, blue, red/white, silver, white and yellow. Sailfish fishing vinyl decal sticker. Sizes include 8.5 x 3.75, 12 x 5.25 and 17 x 7.5 inches. Colors include black, white, blue fire, gold, green fire, hot pink, matte black, mirrored chrome, tie-dye, orange fire, purple, purple fire, red and silver. Sailfish saltwater fishing collection decal, black and white colors, facing as shown or reverse facing. Sizes small 5.25 x 7.75 inches, medium 7.25 x 9.5 inches and large 9.5 x 12 inches. The estimated outdoor lifespan is 5 years. Shark Life signature shark decal, black in color, 12 x 3.3 inches. 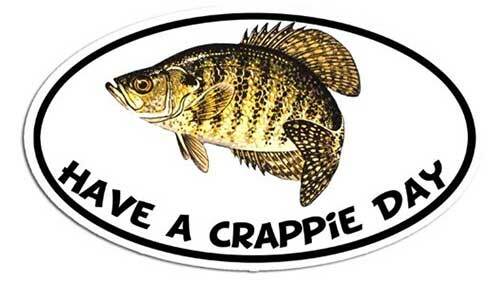 Have A Crappie Day American fishing bumper sticker, 3 x 5 inches. Bite Me Oval bass fishing bumper sticker, 4.7 x 3.3 inches long. Made in the USA with weather resistant vinyl. I Fish Therefore I Lie fishing bumper sticker, 3 1/2 x 7 1/2 inches. 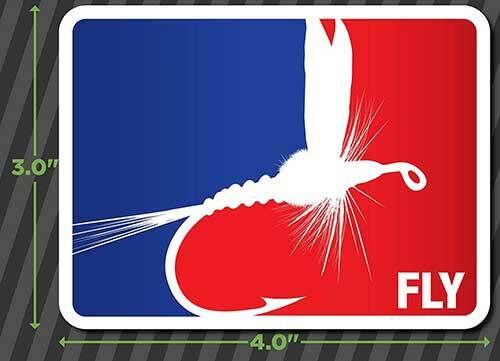 Major league fly fishing logo, 4 x 3 inches, red, white and blue colors. Laminated vinyl to protect from UV light. Lasts up to 5 years outdoors. Fly Fisherman oval bumper sticker, 4.7 x 3.3 inches. Fly lure outline bumper sticker, 4 x 3.75 inches, 6.25 x 5.75 inches and 12.75 x 12 inches. Colors include white, gold, hot pink, purple, red, silver, matte black, tye dye, black, blue fire, green fire, mirrored chrome, orange fire and purple fire. Made with all-weather vinyl that lasts up to 7 years with minimal fading. Trout oval bumper sticker, 3 x 5 inches, for outdoor use, made in the USA. Striper hunter window or bumper sticker, 7 x 3.3 inches, water and UV resistant. Printed on glossy white vinyl. WARNING Does Not Fish Well With Others bumper sticker, 5 x 2 inches, rated to last up to 5 years. 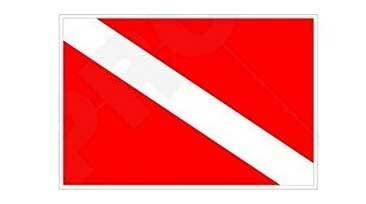 Red and white scuba diving flag bumper stickers, two stickers 3 x 2 inches. 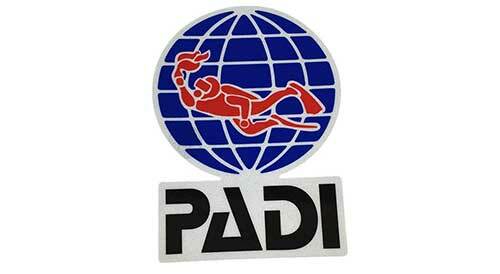 PADI scuba diving bumper sticker, approximately 4, 4.75, 5.9 and 7.9 inches. Made with quality 3M material that is waterproof and non-fading. ATTENTION Beer Cooler * Do Not Place Food or Other Contaminates in This Fridge, Funny sticker, 4 x 3 inches. Decal printed on 3M vinyl with a high gloss laminate. 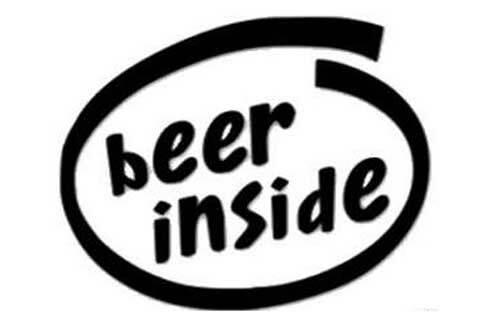 Beer inside cooler vinyl cut decal, similar to the Intel logo, 5 x 4 inches. 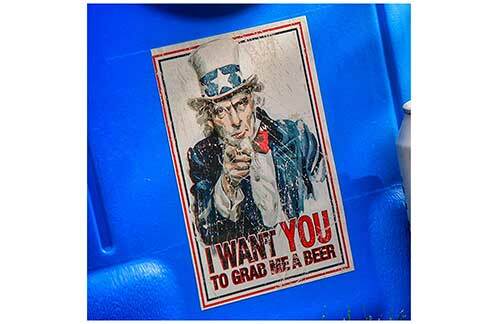 I Want You To Grab Me A Beer poster as a sticker for a cooler from fugly coolers, 6.2 x 4.2 inches. 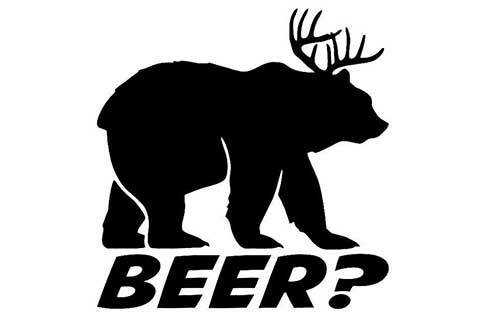 Drunkin Grownups funny vinyl sticker 5 x 1 inches. A durable sticker that is made for outdoor use. 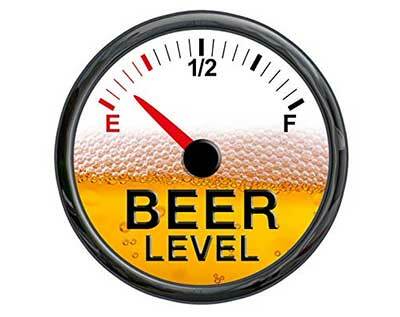 Beer level meter empty funny decal sticker for a cooler, refrigerator or keg, 3.5 x 3.5 inches. 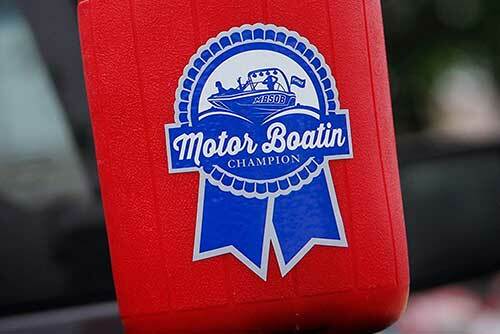 Pabst Blue Ribbon beer motor boating champion award ribbon sticker decal for boating coolers, 3.5 x 4.4 inches. Made with durable weather resistant vinyl. 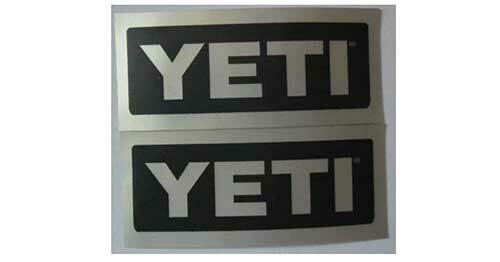 YETI Coolers Stickers, 3 x 1.5 inches. Two stickers are included, labeled by stickers Inc.
YETI Coolers sportsman window decal that looks like a tuna fish, 6.25 x 2.7 inches. 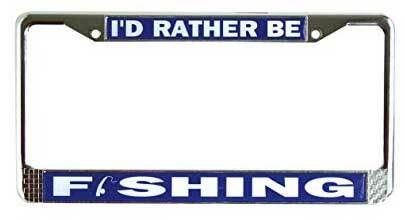 I’d Rather Be Fishing chrome license plate frame, chrome plated with zinc. Born To Fish Forced To Work! license plate frame, navy blue and shiny chrome. 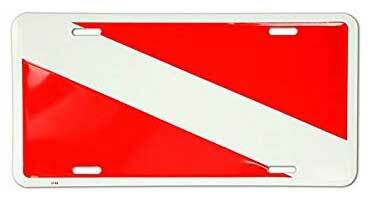 Scuba diving flag license plate, 6 x 12 inches. Red and white, made in the USA. 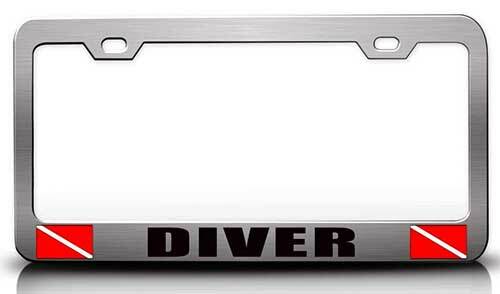 Diver scuba license plate frame with two scuba diving flags and a metal finish. 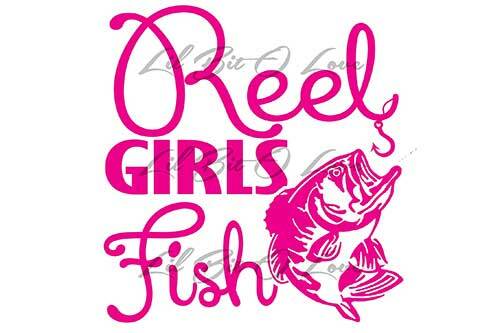 Reel girls fish hot pink vinyl decal, 7 x 7 inches, available in burgundy, gold, teal, green, orange, red, silver, Olympic blue, light pink, matte black, mint green, white, ice blue and light purple. 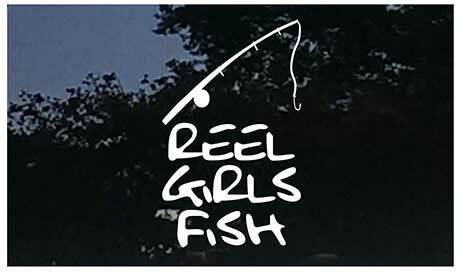 Reel Girls Fish sticker decal with a fishing pole, white in color, 3 1/2 x 5 3/4 inches. Salt life decal in pink with a sea turtle in the middle, 11.5 x 4.5 inches. Vineyard Vines whale stickers, American flag, patchwork and classic pink, 2 x 4.5 inches. 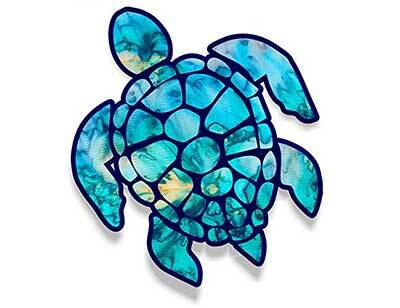 Sea Turtle sticker by Vinyl Junkie, 3-inch size. Colors include cyan dream, blue-pink, cotton candy, green-yellow, kaleidoscope, pink galaxy, rainbow tie-dye, starry sky and stripe fade. 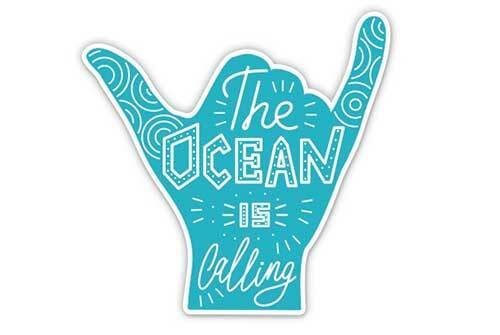 The ocean is calling hand sticker, 3, 5, 8 or 12-inch sizes. Material made for outdoor use with a peel and stick application. 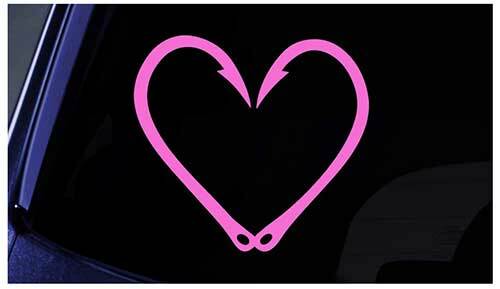 Fish hooks in the shape of a heart, 5-inch size, color is pink. 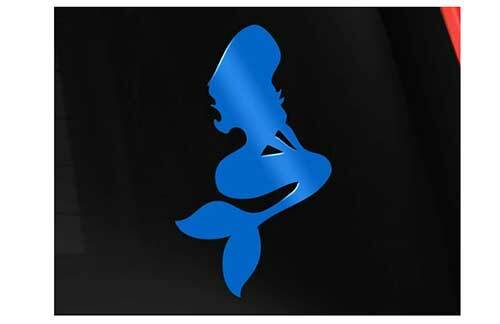 I Am Really a Mermaid window decal, 8, 14 and 20-inch sizes available. Color options include white, orange, silver, blue, red, yellow, pink, gold and green. Mermaid Princess Silhouette, 5 inches tall. Color options include white, orange, silver, red, black, purple, pink, dark gray and gold. Pretty Mermaid car window fish sticker, 5, 6, 7, 8, 10 and 12-inch sizes. Color options include white, black, red, purple, pink and hot pink. Thanks for visiting Global Fishing Reports. I hope these suggestions help you pick an awesome fishing decal! 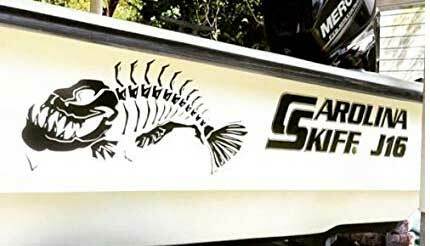 If you have any suggestions for other cool fishing decals, leave a comment below!